Space and location is always a crucial player in sound art performances. 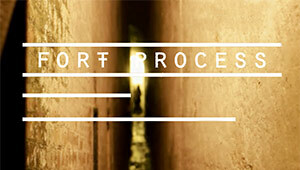 And for Fort Process, a one day sound art festival is one of their main assets. The bi-annual festival is retaking place on 22nd September 2018 (it has had previous editions on 2014 and 2016) in Newhaven Fort (East Sussex), a haunting evocative enclave with dramatic views over the English Channel. 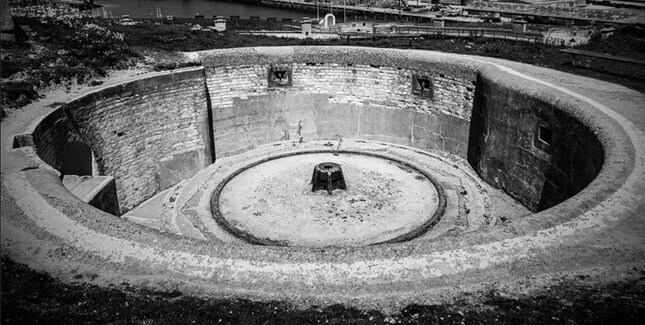 Newhaven Fort was built in the 19th century to defend the harbour at Newhaven. It was the most extensive defence work ever built in Sussex, and it comprises a network of tunnels that venture onto the ramparts and gun emplacements. It’s mysterious and disorientating, replete with a remarkable acoustic character. Having attended the 2016 edition, the festival is quite a profoundly touching event. This third edition of the festival will feature an international programme of performances, installations, talks, workshops and live art, and is part of an extended season that runs from July to October with events at De La Warr Pavilion in Bexhill, London’s Cafe OTO and The Attenborough Centre for the Creative Arts in East Sussex. Organised and curated by Lost Property, the event is articulated in a way that creates interactions between the acoustic and physical properties of that space: The experience of Fort Process takes festival-goers wandering through underground tunnels, caverns and old armaments rooms, coming across new immersive artworks as they go, before emerging into the sunshine. Musicians perform on old gun emplacements high up on the fort’s ramparts while the audience looks out to sea, and the many rooms in the fort grounds are host to talks and workshops. Rhys Chatham will perform ‘Pythagorean Dream’, a solo piece that constructs hypnotic layers of trumpet in phased loops. AJA and UKAEA incorporate rhythmic rituals into their performances, drawing the audience into an open field of interactive rapture. David Thomas Broughton the singer-songwriter who approaches his music in a surreal way and acclaimed sound artist Jez Riley French & Pheobe Riley Law. International artists include a special contingent from the Helsinki-based collective Charm of Sound; Japanese sound artist Tetsuya Umeda, who will use the full space of the fort’s Romney Hut to conduct kinetic experiments with materials and temperatures; and Greek-born instrument-inventor Tasos Stamou, who will perform with his latest creations. Also already featured at CLOT magazine, we will find media-art duo Semiconductor will reveal subatomic processes in an intricate video piece, and Louise Mackenzie will invite participants to transmute data derived from the DNA in seawater into sound. Tickets are on sale now and there’ll be another round of announcements in the coming weeks.